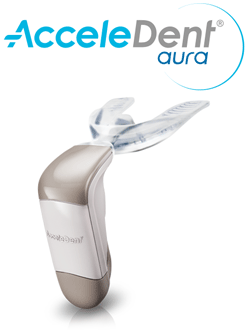 Accelerated orthodontics helps in addressing the straightening, spacing and closing of gaps of your teeth. Dr. Jacquie Smiles has helped many patients in Woodbury, NY with accelerated orthodontics treatments by correcting smiles in far less time. Accelerated orthodontics takes only about 3 to 9 months to achieve the desired smile you have always wanted through braces. Dr. Jacque Smiles specializes in accelerated orthodontics for her patients in Woodbury. Whether it is for adults or teenagers, our fast track and speed orthodontics treatments will help you achieve the smiles you always wanted. Call Dr. Jacquie Smiles today to learn more about accelerated orthodontics treatment at (516) 921-6010 or fill out the contact form to receive additional information. Accelerated orthodontics is a relatively new treatment plan to move teeth faster than traditional braces. While traditional wire braces take anywhere from 1 to 3 years to give you a straighter smile, accelerated orthodontics can advance progress for your new smile in only 3 to 9 months, depending on the complexity of each patient. It is important to work with a team of professional orthodontists and dentists that are experienced in this particularly unique type of rapid orthodontist treatment on Woodbury, NY. If you’re an adult in the Woodbury, NY area and considering enhancing or correcting your smile in far less time, than you may be a candidate for accelerated braces. It is becoming a popular solution among adults as a way to speed up the process with rapid orthodontists by avoiding the wait of 2 or 3 years over traditional wire braces to perfect your healthy smile. The cost of accelerated orthodontics in Woodbury, NY is similar to traditional braces. There are many factors that determine the cost of your accelerated orthodontics treatment depending on how complex the issues you want to correct, length of your treatment plan, and the specific treatment details prescribed by Dr. Jacquie Smiles. Most insurance providers only cover a portion or do not cover accelerated orthodontics. Please call our offices to setup an appointment to discuss if your insurance company will provide any coverage for this procedure. To setup your accelerated orthodontics consultation in Woodbury, NY, please call the offices of Dr. Jacque Smiles at (516) 921-6010 to schedule your appointment. You may also fill out our convenient contact form to receive additional information.